There is great anticipation ahead of the 2010 Cartier Racing Awards after another fabulous year of horseracing, with the winners announced in London on the evening of Tuesday, November 16. European horseracing’s most prestigious accolades will be presented for a landmark 20th time during a glittering ceremony before an invited audience of 350 in the ballroom of London’s Dorchester Hotel. 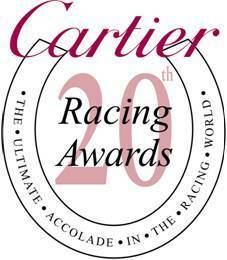 The Cartier Racing Awards recognise excellence in horseracing and the awards are the sport’s equivalent of the Oscars. Split into eight categories for the year’s top horses, including the particularly coveted Cartier Horse Of The Year, the awards are determined by points earned in Pattern races combined, at the end of the season, with the opinions of a panel of leading racing journalists, as well as votes from readers of the Racing Post and The Daily Telegraph. The categories are Cartier Horse Of The Year; Cartier Two-Year-Old Colt, Cartier Two-Year-Old Filly, Cartier Three-Year-Old Colt, Cartier Three-Year-Old Filly; Cartier Stayer, Cartier Sprinter and Cartier Older Horse. The nominations for this year’s awards - five in each category - will be announced tomorrow, Thursday, November 11. The Cartier Racing Awards were established in 1991 to recognise the achievements of racehorses in Europe and have proved their staying prowess. Harry Herbert, Cartier’s Racing Consultant, commented: “We have enjoyed thrilling top-class racing throughout the year and the 2010 Cartier Racing Awards will honour the champions. “The announcement of the Cartier Racing Awards on Tuesday will be particularly momentous, with it being the 20th unveiling of these very prestigious awards. The Cartier Racing Awards also include the Cartier/Daily Telegraph Award Of Merit for the person or persons who, in the opinion of the special 18-strong Cartier Jury, has/have done most for European racing and/or breeding either over their lifetime or within the past 12 months. The list of past winners of the Cartier/Daily Telegraph Award of Merit is as follows; HM The Queen (Cartier Millennium Award of Merit), John Oxx, Sheikh Mohammed bin Rashid Al Maktoum, the Niarchos Family, Peter Willett, Henry Cecil, David & Patricia Thompson, Lord Oaksey, Tony McCoy (Cartier Special Award), Prince Khalid Abdullah, John Magnier, His Highness The Aga Khan, Peter Walwyn, the Head Family, Sir Peter O’Sullevan, Frankie Dettori, John Dunlop, the Marquess of Hartington, Francois Boutin, Lester Piggott and Henri Chalhoub.